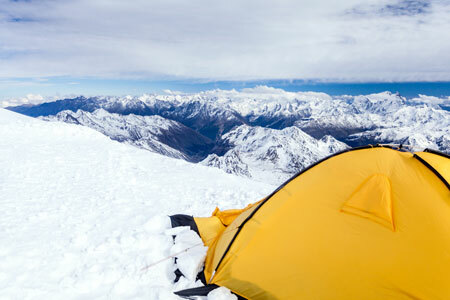 Camping is more exciting and adventurous in winter. Anyone who likes camping will prefer winter camping as it offers many unique experiences and exhilarating moments. Winter camping can be fun and inspiring, but it requires more preparation and pre-planning than spring and summer camping. If you are planning winter camping make sure that you have the right winter camping gear to protect you from the cold environment. In the absence of the right camping gear, the experience can be severe and deadly. In winter, you need to be well insulated. You need to start with a pre-planning and with the required winter camping gear to protect yourself at night and to avoid any unpredictable situation. 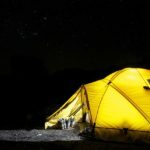 If you are a beginner and have a little idea about the winter camping gear then this article can help you in a great way. 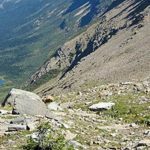 Below you will find some essential camping gear that is considered important for winter camping. 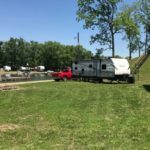 In a camping, the possibility of getting a cell signal is very less. So, it is also suggested to keep a GPS device that offers navigation and routing. That will help you from getting lost in case you find it difficult to get back to your original place. If you are in a trouble, you can activate SOS functions that will connect you to any rescue center. In winter camping, you will require campfire to remain warm and for cooking as well. While preparing campfires, make sure that you have chosen the right clothing to avoid any unkind situation. You can wear wool cloth this is made of fire-resistant material and can protect you from the fire. You should avoid down jacket near campfires. Right Sleeping bag is important to offer you comfort and to protect your body from the low temperature. Our preferred sleeping bag for winter camping would be the Military Goretex 5-Piece Improved Modular Sleeping Bag System. This bag will keep you warm and dry down to -40 below. Tent is one of the important requirements of any camping. In winter, it is essential so that you can stay warm at night. Campers usually prefer expedition designed tents for winter camping. These tents are made with extra guide lines, stronger fabrics, and better quality poles to combat extreme winds of the winter cold. One can also take a single-wall tent. This tent is made from breathable fabrics and waterproof materials and it does not demand a separate fly. Single-wall tent comes with an easy setup system and offers lasting results. This is essential for a winter camping. You should have a big puffy coat to stay warm in the thrilling winter. You should choose the one that entirely covers your bodies and offers comfort while moving. You can get one either from natural down or synthetic fills. Both of them will serve your purpose. Some additional important winter camping gear can be found here but you should be bring these as well – a powerful stove, backpack, water bottle insulator, flashlights, first -aid kit, gloves, and lighter. Winter camping is not easy, but you can make it comfortable and enjoyable with the right selection of gear.